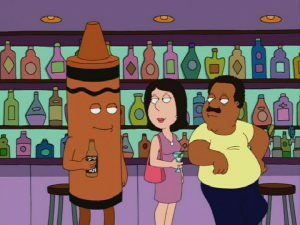 I hope you have plenty of money in your bankrolls because we are entering prime gambling season. NFL, NBA, college football, college basketball…NHL. A degenerate’s delight, if you will. Pretty soon, there will be around 200 games to bet on over the course of just one weekend. In other words, sportsbooks (portrayed by Mr. Krabs) are drooling at the thought of all the square bets rolling in. 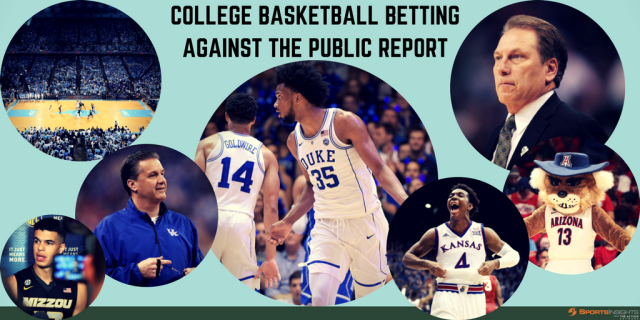 With college basketball set to start later in the week, it’s time to bring back a seasonal favorite: the betting against the public report. This Sports Insights staple sheds light on why one of our favorite philosophies is a profitable long-term strategy. Unlike professional sports, college sports feature teams and players that are completely unknown to many bettors. You could be betting on Duke during the day and Weber State at night. 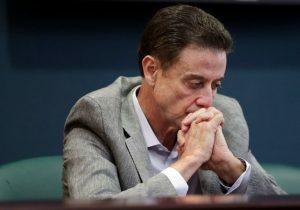 Obviously, public bettors are going to gravitate towards the big well-known teams: Duke, UNC, Kentucky, Kansas…perhaps Louisville once upon a time, but probably not this year. D.) Most people associate the word Siena with a crayon, not a college basketball team. With that being said, “betting against the public” doesn’t apply for small conferences with teams you’ve never heard of because most bets are coming in from sharps, not squares. You’d be betting against the pros in many cases…not exactly a smart decision. It does work in heavily bet games, though. On a standard Saturday, we may have one game on the odds page with 500 tracked bets and another with 15,000. This isn’t something you generally see with pro sports, as most games generally have a similar number of bets depending on the time slot. While plenty of these additional bets are from sharp bettors, most are coming from the square bettors that we love to fade. To illustrate how important volume of bets is, check out the chart below. Using our “number of bets compared to daily average (DA)” filter in Bet Labs, we can see how this strategy work at each of the different levels of lopsided betting. For example, if there were 10 games on the board and 50,000 total bets, the daily average would be 5,000. When we look at games with less than the daily average of bets, betting against the public isn’t a profitable endeavor at any level. In fact, you may want to consider betting with the public for those small games. We see a bit of an improvement when looking at games with at least the daily average of bets, but start seeing some much better returns as we look at more heavily bet games. When we reach at least 2x the daily number of bets and at least less than 30% of bets, essentially the bottom right quadrant, there are profitable returns across the board. The very bottom right hand corner features the holy grail of betting against, but games like that don’t come up very often. Last year, there were two such matches and both covered. To summarize: bet against the public in heavily bet games, but steer clear in the less popular ones. That’s all well and good, but there are other situations in which money can be made by betting against the public. Below are three more strategies that have strong contrarian roots. For this system, we can capitalize on public perception. Top-25 rankings are just based off of the opinions of a group of people, but public bettors often take them too seriously. Often times, ranked teams receive the majority of bets, but this isn’t a smart move by the public in games against a conference opponent. Generally speaking, a specific school’s system and style of play will remain similar from year-to-year and coaching staffs will grow familiar with their foes’ gameplans. This helps even the playing field and creates value on these overlooked teams, which have historically been dogs more than 90% of the time. This system is similar to the last one, as we’re using the ranking system to take advantage of public bettors. Folks will take a look at the schedule, see that a top-3 team is playing, and assume they are a juggernaut. These teams always attract square bets and bookmakers will often shade lines, knowing that Joe Blow will bet on Kansas whether they’re -10 or-11. Top-3 teams have historically received the majority of spread bets more than 80% of the time dating back to 2005. This creates a bunch of value on the other side and we see that betting against these top teams is a wise decision at the most rudimentary of levels. Here, we hope to take advantage of one of God’s great gifts: regression. I looked at a similar phenomenon in the NBA report with teams on a win streak, but for college I’ll be looking at teams on a cover streak. In college sports, there are plenty of teams that can go on lengthy win streaks, but it’s tough to cover more than a few games in a row. Teams that have covered four or more games in a row catch the eyes of bettors, who expect them to continue their covering ways. However, they’re essentially “due” to not cover. Short winning streaks tend to even themselves out and by betting against these hot teams, you have an edge. Oddly enough, the 20% or less section of this is substantially worse than the less than 25% range…I guess there are a lot of wins between 21% and 24%. I wouldn’t stay away from a team with 20% or less, though, as I expect this blip in the data to even itself out in the long run. Keep in mind, all of the trends listed above are for the regular season. Once we get to March Madness, we can dig into some postseason trends. Follow @ActionNetworkHQ and @SportsInsights for news and analysis throughout the college hoops season. Really good insight as usual. Could you guys please share these systems to Bet labs?